Unfortunately, Gyromite has nothing to do with Greek food. 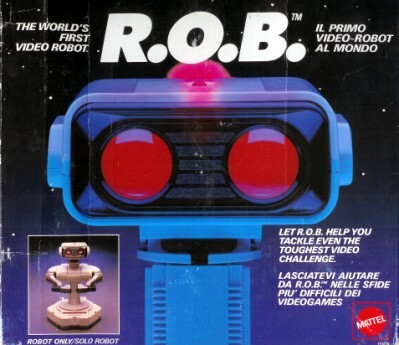 Nintendo needed something to set themselves apart from the competition (especially after the video game crash of 1983) and inexplicably chose to package a Robotic Operating Buddy with the NES in 1985. Its short lifespan only yielded two games—Gyromite and Stack-Up. These nail-biters were clearly much too thrilling to warrant Nintendo releasing further games. Extra points to Uncle Chuck for having the best robotic moustache. In The Animated Series, Sonic’s Uncle Chuck invented a machine that allowed people to live longer. Sounds great, but one of its side effects, besides heartburn and nausea, was robbing users of their free will. 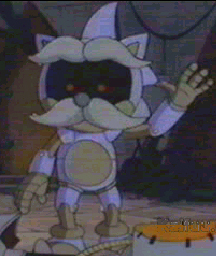 If that’s not bad enough, old Chuck managed to have his invention stolen by Dr. Robotnik, who turned the tables and used it on Chuck—turning him into a robot with a fine moustache. Oh, so you keep your adopted daughter in a maid costume at all times? No, that’s not creepy… it’s one step away from living in a van with no windows. Perhaps one of the most useful household robots, should you need to vacuum under your sofa, is V.I.C.I (or Vicki) from Small Wonder. 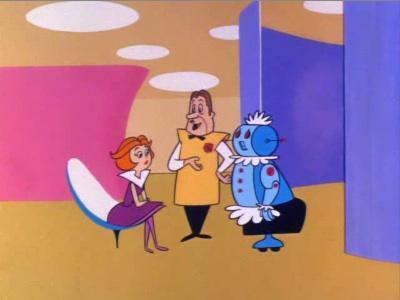 This robot, a Voice Input Child Identicant, was created by Ted Lawson, the father on the show, as a maid robot. The Lawsons live out the rest of their lives trying to pass off Vicki as their adopted daughter, but like any 80s sitcom, the addition of nosey neighbors adds to the weekly shenanigans. And now “Weird Al” Yankovic’s “Here’s Johnny” is stuck in my head. Shoot me.Perhaps Johnny 5 is most famous for being the only robot to name himself after an El DeBarge song. But more power to Johnny 5—at least he had the foresight to pick a song that made it to the charts. How embarrassing would naming yourself after “Starlight Express” be? 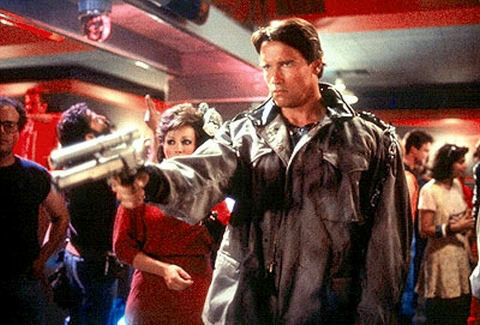 Arnold Schwarzenegger portrays different sides to his T-800 character, which is why he’s in this list over T-1000 and his creepy metal shape-shifting abilities. T-800 started as the deadly antagonist in the first movie, looking to kill Sarah Connor. In the second movie, he’s reprogrammed into protecting John Connor and making Guns N’ Roses puns. He has another stint as a good guy in T3, but then back to a scary cyborg in his brief appearance in Terminator Salvation. Advanced hologram technology is once again wasted on pop music. Synergy, the ultimate audio/visual entertainment synthesizer, is responsible for turning bland Jerrica into rock star Jem by projecting holographic images. Jerrica/Jem can call on Synergy at any time through their fashionably 80s giant red star earrings. 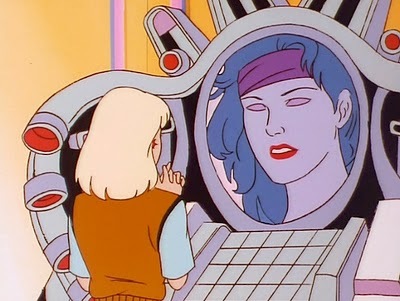 Synergy’s hologram skills are so awesome that Jerrica’s boyfriend Rio doesn’t even realize he’s cheating on Jerrica with Jem, making this the only love triangle composed of two people. At least she had an off button. 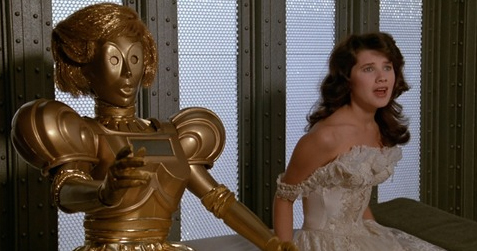 In Mel Brooks’ famous Star Wars parody, Joan Rivers voices Dot Matrix—a take on C-3PO. Dot’s function throughout the movie is to protect Princess Vespa’s virginity, but her name alone begs the question—when will we see parodies of iPads making the rounds like this? Never buy the floor model. In the future, we all have robot maids. If it’s not Vicki, it’s going to be Rosey. The Jetsons’ model is a bit out-dated at 45 years old. I don’t even think my Atari is going to hold out that long. The Jetson family sure are risk-takers because outdated robots always equals painful murder. The best thing about KITT? He was voiced by George Feeny. We have cars that park themselves, that come with monitors on the dashboard so you can see behind you, and that map out your trips. 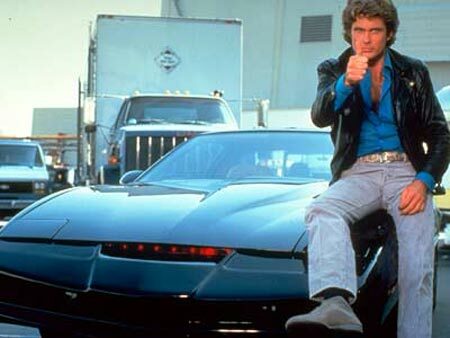 Try as we may, we’ll never get an automobile as awesome as KITT, and he was a 1982 Pontiac Trans Am! KITT (Knight Industries Two Thousand) was designed by the late eccentric billionaire Wilton Knight and like any good robot car storyline, KITT had an enemy in his predecessor KARR (Knight Automated Roving Robot). We try to stay in the 1980s and 1990s four our articles, but this needs to be somewhere on the site. Who is your favorite robot? Leave a comment and let us know! My favorite is Vicki from Small Wonder. It comes on a retro channel on the weekends and it is funny especially when Vicki takes things literally and repeats everything she hears. I also love the cute little robot voice. 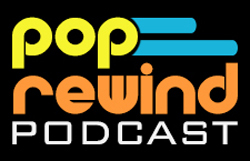 I have heard people call the show terrible and cheesy but then again does’nt that describe the 80’s?